Wireless earbuds are great for sports, cycling, walking, or just unobtrusively listening to your favorite music. While going cord-free means not having to worry about cords catching on anything, being too short, getting in the way, or even jerking your earbuds out of your ears. Some wireless earbuds also come with built-in microphones, making them useful as smartphone headsets. Unfortunately, many wireless earbuds are expensive, with prices often ranging from $120 to $200 or more. While earbuds in that price range are sometimes very high quality, so many times the price is simply inflated because the brand has good advertising. The following five wireless earbuds under $50 are chosen for having the best quality, performance, and reliability. These Bluetooth earbuds may sound like a copy of Skull Candy’s, but they are something to consider all on their own. The official retail price is $99, but none of them ever sell for more than $50, which puts them nicely within our budget. The ECandy wireless earbuds are usually only available on Amazon, come in four colors, and have a Bluetooth headphone counterpart. 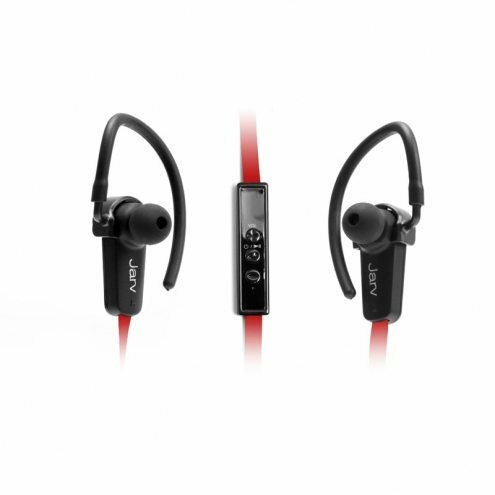 The earbuds feature Bluetooth 4.0, small ear hooks, a built-in microphone with noise reduction, 4-9 hours of talk/play time and 160 hours of standby time. While not perfect, they are about as good as you will get in the price range, with strong bass, and decent polarity & sound. The Soundpeats QY7 has an MSRP of $39.99, but if you shop around, you can usually save even more off of that. The Bluetooth earbuds come in 8 colors, feature a microphone, up to 8 hours of talk or play time, and a 145 hour standby time. 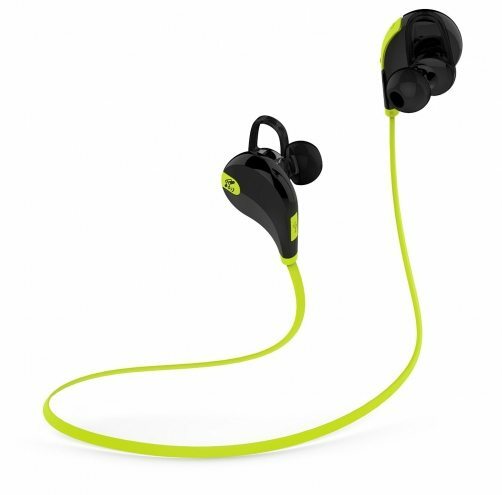 They’re also sweat resistant and feature a button for skipping tracks, making them ideal for exercise. Personally, I like the styling of these best. JAM sells two versions of the JAM Transit, including the normal and the micro. The micro sells for $79.99, but the normal pair of wireless earbuds sell for $49.99. While only available in three colors, the Bluetooth earbuds have both music and speakerphone modes. 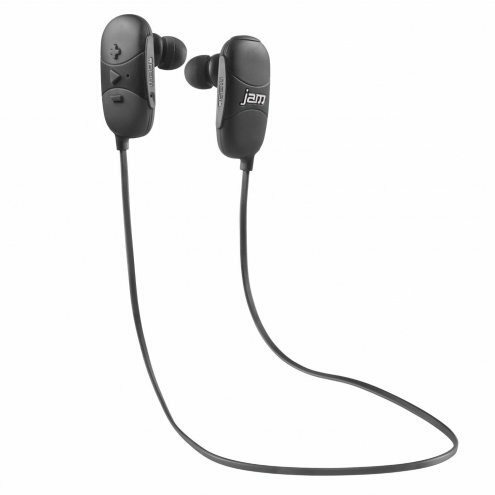 The JAM earbuds feature a microphone, controls for accepting calls, playing music, or pausing it, and a 30-foot Bluetooth range. While they don’t have enough bass for some types of music, they do work well for casually listening to music and taking calls, without the hassle of a wired headset. We have also tested their range to be higher than claimed, at over 40 feet. 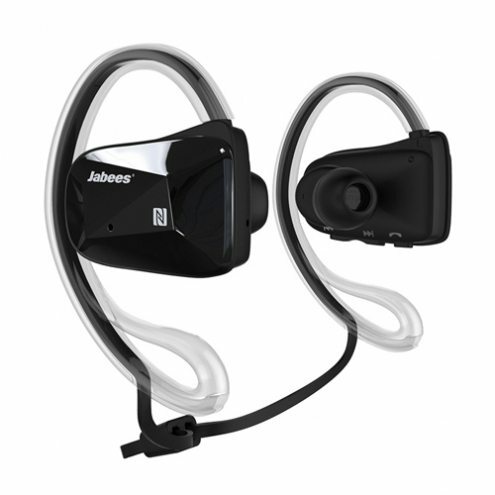 Jabees BSPORT is a unique Bluetooth earbud with a fairly large earpiece and an ear hook, which makes them ideal for sports like cycling, or anywhere where you want lightness but not total noise canceling. 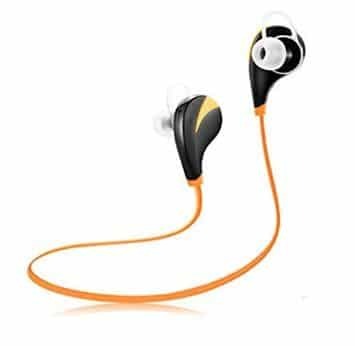 They are also water resistant and sweat proof, so you can go running or cycling in the rain, and you can drop your earbuds in water without them dying. While you can’t go swimming, you can take them almost anywhere else. A built-in dual microphone, support for voice prompts, and internal volume control allows you to use the wireless earbuds for almost anything. They also connect via NFC, for those who prefer it over Bluetooth. These are the best earbuds under $50 for cyclists or anyone that requires lightness and maintaining situational awareness. While the Jarv NMotion have an MSRP of $69.99, they usually retail under $50, which makes them a good option for most uses. 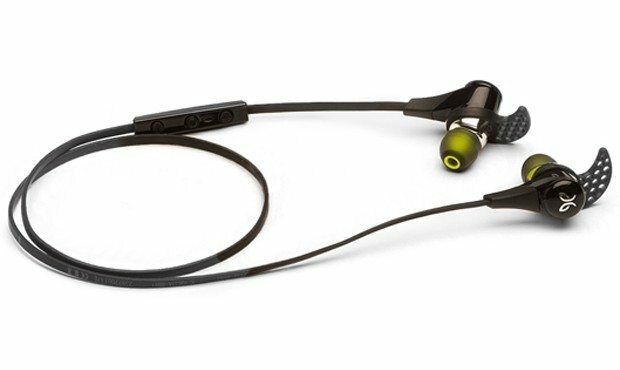 The earbuds feature a built-in microphone as well as controls for playing music, pausing music, accepting calls, and volume control. Wireless sound isolating buds help with sound quality. 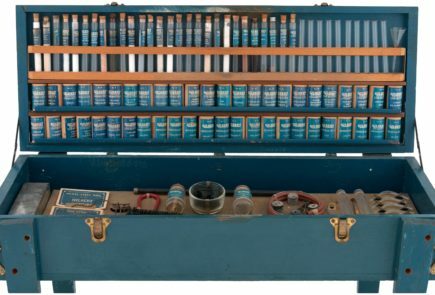 Our only complaint was that the bass is very low. A 6-hour battery life with a very short charging time makes them the best and most convenient option for taking to work or commuting. If you don’t like any of the options on this list, you can look for discounted earbuds from other brands. 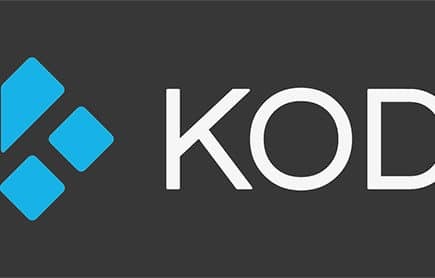 For example, Photive, RevJam, Stoon, Matone, and many other high-end manufacturers of wireless earbuds often go on sale on Amazon, where you can sometimes find them under $50.